If there's one thing that has the ability to make dance cooler than it already is, it's technology. Case in point: The Chemical Brothers' newest music video for their track, "Wide Open (feat. Beck)," choreographed by Wayne McGregor. This collaboration of artists is awesome to begin with, and as soon as the video starts, it's obvious that they didn't hold back with this project. Are those leggings? Tights? A computer glitch?!? The dancer, Sonoya Mizuno (who graduated from the Royal Ballet School and has appeared in tons of dance-themed commercials and campaigns), sails around the concrete floor, effortlessly executing McGregor's moves, when about 40 seconds in, our collective minds were blown here at DS. Watch the video below to find out why! Wayne McGregor's First-Ever Full-Length Ballet Premieres Tomorrow! Attention #dancenerdz! You know Wayne McGregor? The uber-cool British contemporary ballet choreographer whose movement turns dancers into gumby superheroes? And maybe you've heard of Virgina Woolf, the British modernist writer who basically defined the genre and helped change the course of writing in the English language? Try to imagine those two towering artistic forces combined and you'll get McGregor's first-ever full-length ballet, Woolf Works, which is set to premiere at The Royal Ballet tomorrow! Though McGregor's work is decidedly contemporary and Woolf's writing is at the heart of modernism (remember, in art history "contemporary" and "modern" don't mean the same thing), the choreographer isn't one to shy away from stylistic challenges. McGregor is following in the grand tradition of ballets inspired by literature, but he's also putting his own spin on it. By choosing Woolf's writing, which often purposefully lacks a narrative arc, he set himself a clear goal: How do you make a full-length ballet that doesn't necessarily tell a story from beginning to end? How do you keep the audience interested? Even though Woolf Works is based on three of Woolf's novels (Orlando, Mrs. Dalloway and The Waves), it won't be a story ballet. It's a lot to try and understand, but fortunately the dream team over at The Royal Ballet put together a nifty package of videos and photos to help you get a feel for McGregor's ambitious project. You can get a quick background on Virginia Woolf, learn about how McGregor is using each novel to inspire its own act in the ballet and watch rehearsal videos featuring McGregor working with Royal Ballet principals. Enjoy, and let's hope this becomes part of the Royal Ballet in Cinema repertoire for 2016! Last night, basically the entire dance world got gussied up and headed to NYC's Ailey Citigroup Theater for the 60th (!) Dance Magazine Awards. How did the DMAs celebrate the big 6-0? By honoring no fewer than SIX incredible artists: Brenda Bufalino, Tony Waag, Larissa Saveliev, Wayne McGregor, Luigi and Misty Copeland. Here are the top highlights from a night that was basically all highlights. 2. There was a world premiere. Gomes was basically an honorary awardee last night. We saw not only his Toccare, but also a brand-new Gomes ballet, La Mort d'Ophélie, starring ABTers Sarah Lane and Sterling Baca. Made in tribute to Saveliev, it was gently, dreamily melancholy. 3. We were reminded, yet again, of why we're obsessed with Wayne McGregor. Alvin Ailey American Dance Theater's Akua Noni Parker and Jeroboam Bozeman blazed through an excerpt from McGregor's electric Chroma. (You can watch The Royal Ballet perform the same excerpt here—and believe me, you should.) 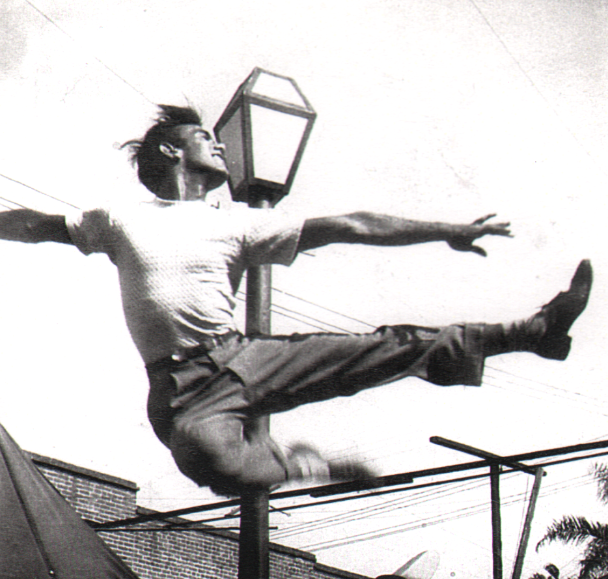 There really is nothing like his wiggly, wacky, wild choreography. Though McGregor couldn't be there in person to accept his award, his beamed-in acceptance speech—an eloquent tribute to all of his collaborators, and a call for support of young artists—showed off the powerful mind behind the magic. 4. The whole audience did Luigi's classic warmup. The man himself is recovering from surgery and was unable to make the ceremony, sadly. But protégé Francis Roach, accepting on Luigi's behalf, got the dancer-filled crowd on their feet to do the first few familiar steps of the Luigi warmup—the perfect tribute to the jazz legend. 5. Raven Wilkinson made everyone cry. The wonderful Wilkinson, who presented Copeland's award, was the only African-American dancer to perform with the Ballets Russes, and has become a mentor to Copeland. She quoted Eleanor Roosevelt—"The future belongs to those who believe in the beauty of their dreams"—and praised not only the beauty of Copeland's exquisite dancing, but also the beauty of her dream of a colorblind ballet world. Here at DS, we love Fall for Dance because it gives us a chance to see some of our favorite American companies, along with international groups that don't come through very often. There are also always a few gems that we didn't already know about, but that completely blow us away. Read on for my top five pieces from Fall for Dance, 2014. 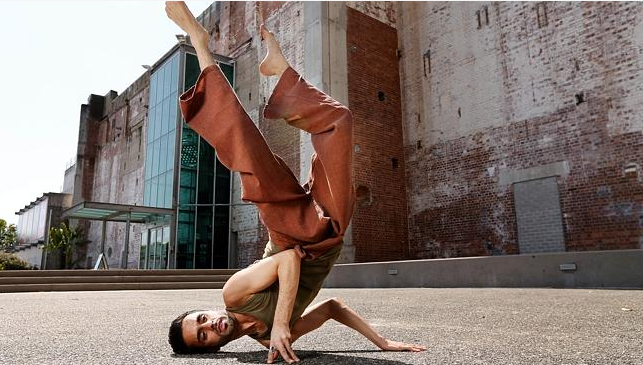 Black Grace is New Zealand's leading contemporary dance company. Their work pulls from traditional Samoan dance and storytelling, as well as contemporary movement. The two pieces they performed—Minoi and Pati Pati—showcased the company's powerful athleticism, perfect unison and mesmerizing cannon, along with some beautiful singing and chanting. After I picked my jaw up off the floor, I was left wondering who the heck Sébastien Ramirez and Honji Wang are. It turns out they're a collaborative duo from Europe, under the name Wang Ramirez. 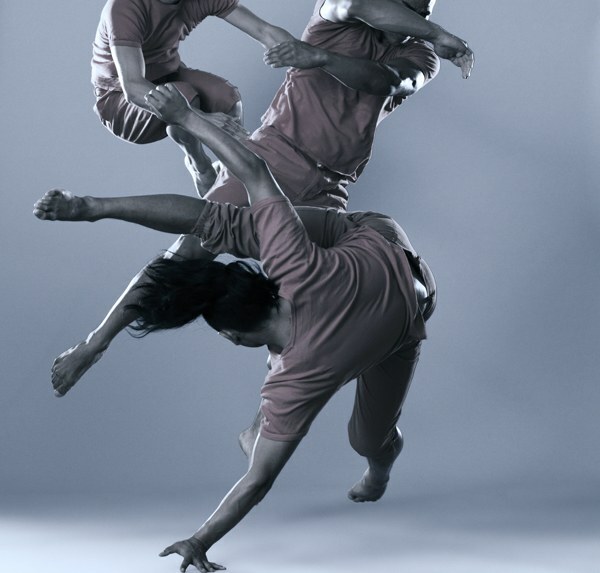 Wang is a contemporary dancer with strong ballet and hip- hop training, while Ramirez is an award-winning b-boy. Their piece, AP15, was AMAZING, and pretty much defined fluidity and precision. 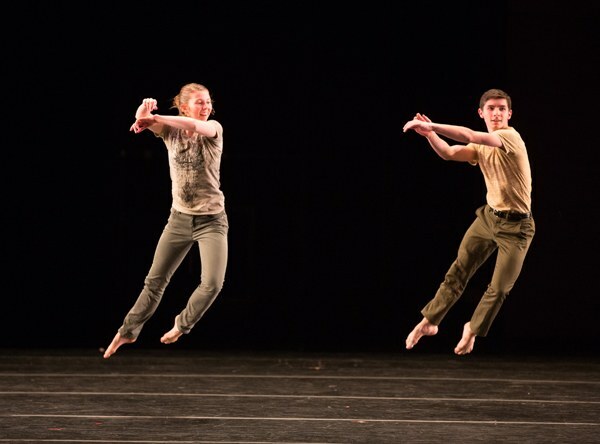 The Brian Brooks Moving Company performed Torrent—commissioned by Julliard in 2013—with members of Julliard Dance. The performers poured on and off of the stage, assembling and reassembling to form groups and lines. Given the title, I was expecting something dark. Instead the piece was non-stop, joyous dancing. The best part? I couldn't tell the difference between the company members and the Julliard students. I'm not going to lie, I was very excited to see Wayne McGregor | Random Dance live—and McGregor's ferocious choreography and brilliant lighting for Far did not disappoint. I was especially impressed with the men. Besides having bodies cut from stone, they were also super flexible and expressive. Lastly, Aakash Odedra performed Nritta, a classical Kathak variation. Odedra also choreographs contemporary work, and often draws on his training in classical Indian dance. His performance was so fast and precise he seemed slightly otherworldly—but completely amazing.